Apart from the octa-core Idol X+, the Alcatel One Touch Idol Alpha is now available in Malaysia as well – ahead of its scheduled official launch later today. 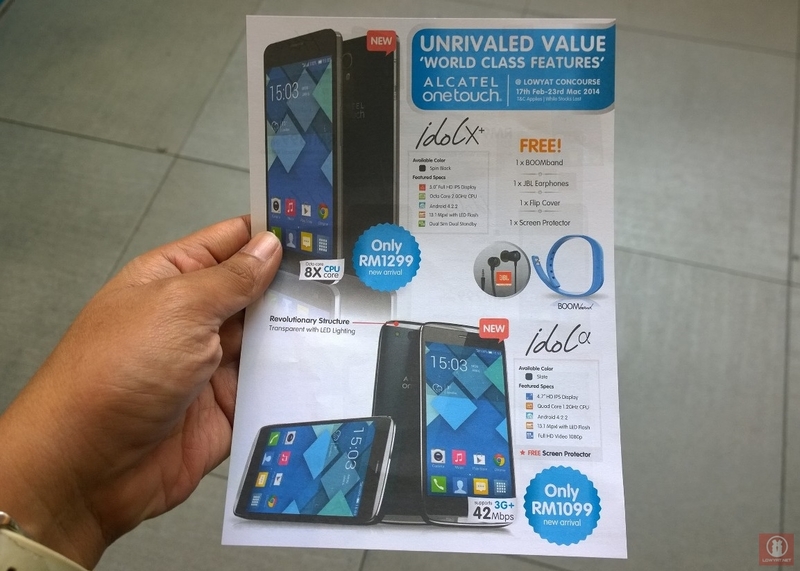 At the moment, the device is currently available only at Alcatel One Touch road show in Plaza Low Yat with the general availability throughout the country will begin next week. Retailing at RM 1099, the Alcatel One Touch Idol Alpha carries a 4.7-inch 1280×720 display and is powered by a 1.2GHz quad-core processor. It also features 1GB RAM, 16GB internal storage (no MicroSD card slot though), 13-megapixels rear camera, 1.3-megapixels front camera, and 2000mAh battery. Apart from the hardware, this particular device also has a rather unique physical design trait as compared to other devices in Alcatel One Touch family in the form of the transparent top and bottom areas of the phone. Additionally, its metal back cover made the device rather nice and sturdy to hold during our brief experience with the device yesterday. 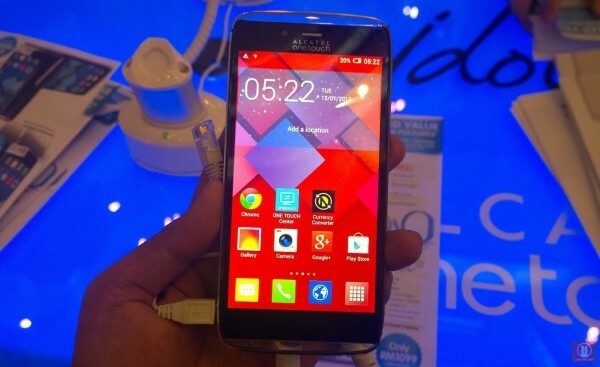 Stay tuned for our hands-on experience with Alcatel One Touch Idol Alpha as well as Idol X+ coming your way very soon.